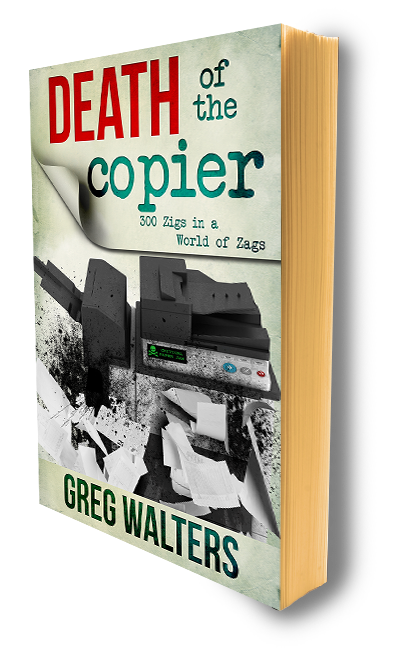 "This is the plan; make printing so cheap the act of printing is as thoughtless as watching TV. Friends, I give you one possible timeline in the Future of MpS - self imposed irrelevancy. Rejoice and make mirth for the sun shall shine on our faces forever! Well here we are, not even a year later and HP is brining its brand of MpS to the SMB - without you. Ladies and gentlemen, I present, Smaug, HP Instant Ink - Professional. A self-actuating program which orders and delivers supplies seamlessly to your clients' desk. On its own, by itself, without you. The click charge comes to about 3 cents each. Unused images roll-over into the next month, the program is available on specific devices and enrollment is accomplished online. Simple, easy. Never before has self-service been so self-serving. Who is to say that one day, every copier and printer on the planet will fall under the "...mystical, all seeing, all knowing, Eye..." ordering toner, paper and their own replacements, without you ? Mother Blue pushed her children to the Edge-Line, cut the legs out from under the TouchPad, created and invested in and jettisoned 39,000 employees, all while maintaining a gargantuan marketing budget. What about all those HP VARs and resellers? Won't they find sanctuary beneath the wings of the Dragon? Let me ask you this...how do you define "Enterprise Account"? How often have you heard the phrase, "if the client expresses a want to work with HP direct, size doesn't matter...". No, there is no shade for the "loyal". I don't know what focus group or demographic HP is looking at, perhaps the ghost of Yoshi walks the dark, damp halls in Vancouver, "Cha Ching!" Whatever, don't fall for Y2Y numbers and don't let the stock price fool you either - this is the company that brought us the Mopier and the Konica/HP cluster. Where is Bard the Bowman? "Arrow! Black arrow! I have saved you to the last. You have never failed me and always I have recovered you. I had you from my father and he from of old. If ever you came from the forges of the true king under the Mountain, go now and speed well!" – The Hobbit, "Fire and Water"
1. Nobody Likes to Print. Users don't care if its laser, toner, ink, or self-replicating nano-particles - no really. I've seen it. They say it. Print is quickly becoming an 'afterthought'. 2. Everything changes at HP in November. This characteristic is embedded in HP DNA - at year end, everything from product sku's to compensation plans, from copiers to mopiers gets a makeover. Odds are, if not this October, by fiscal '16, ink will be another forgotten idea like Compaq, Palm, WebOS and 'Hawk'. For those who make a living selling 'clicks' - you see the fire on the mountain, right? What now? Should you confront, ignore or transform? Ignoring mother blue may be the best approach. 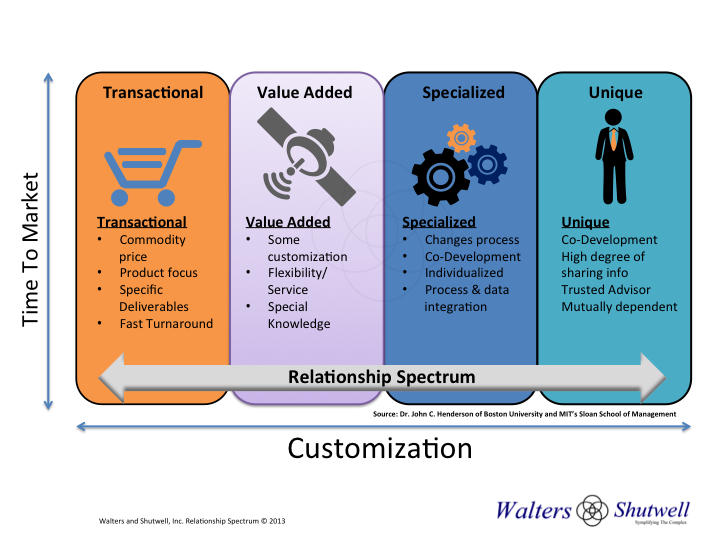 Customers working with a vendor in this manner are not visionary and fall early in the W/S Relationship Spectrum. Lower margin, less expertise, status quo print policy, boring engagement.